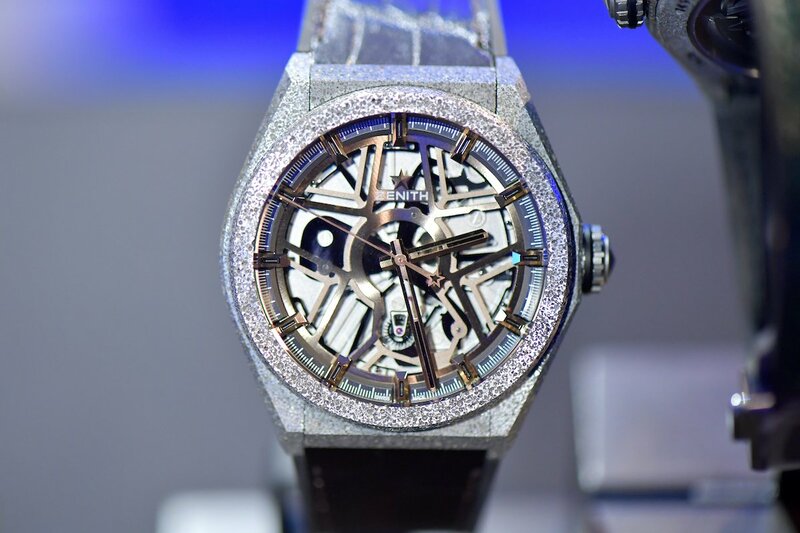 Manufacture Zenith has reinvented the mechanical watch with its functioning principle, and has just unveiled the Defy Lab, a new, revolutionary oscillator and a new material for the watch. Earlier today, over at Le Locle, the cradle of Swiss watchmaking and Zenith’s home, we got busy experiencing first-hand this feat of technology and welcoming the advent of a new era of performance, engineering, and simplicity. 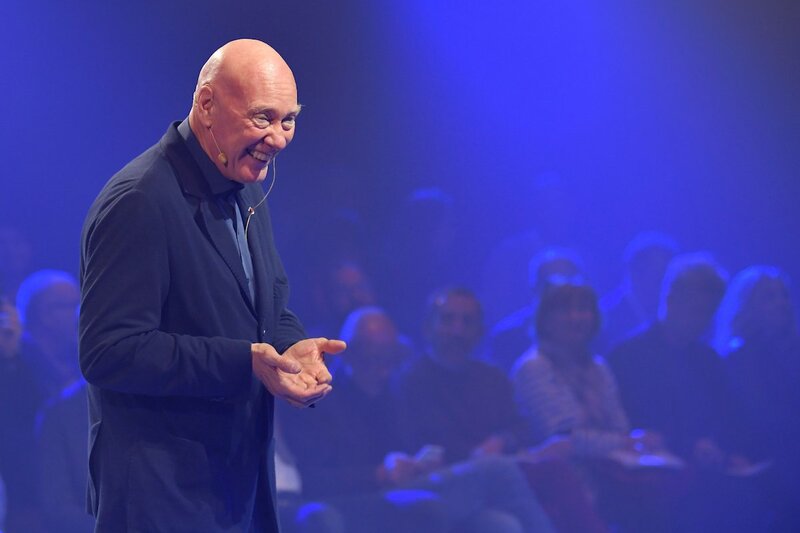 The secret in all its details was finally shared with the public by Jean-Claude Biver, President of the LVMH Watch Division; Zenith CEO Julien Tornare and Guy Sémon, CEO of the LVMH Watch Division R&D Institute, at a press conference at the Manufacture in Switzerland. This launch, spearheaded by LVMH Watch Division’s R&D Department, brings together the core strengths of the group’s watchmaking “Maisons” under the leadership of Jean-Claude Biver. Zenith’s 152 years of experience in watchmaking have resulted in the Manufacture’s capacity to produce around 40 movements of different shapes and equipped with various complications), with the latest -and most revolutionary- being the Defy Lab, up there with the famous 1969 El Primero, a Swiss watchmaking legend that allowed measuring tenths of a second, the unit of time naturally stemming from a 5 Hz oscillation frequency. Defy is the first and only mechanical watch presenting both an evolution and an improvement of the 1675 sprung balance principle. Forming a monolithic whole, the new oscillator made of monocrystalline silicon replaces the sprung balance, and a single element measuring just 0.5 mm replaces the 30 or so components of a standard regulating organ. One of its most impressive characteristics is that it beats at the incredible frequency of 15 Hertz, which endows it with an exceptional degree of accuracy, almost 10 times higher than any other. Its power reserve of almost 60 hours is more than 10% longer than that of the El Primero! Defy Lab is the first watch with a 44mm case made from a new material called Aeronith, the world’s lightest aluminium composite material resembling an extremely solid metal foam. Developed using an exclusive high-tech process, it features a density of just 1.6 kg/dm3: that makes it 2.7 times lighter than titanium, 1.7 times lighter than aluminium and 10% lighter than carbon fibre! So it’s safe to safe it will defy weight on the wearer’s wrist. 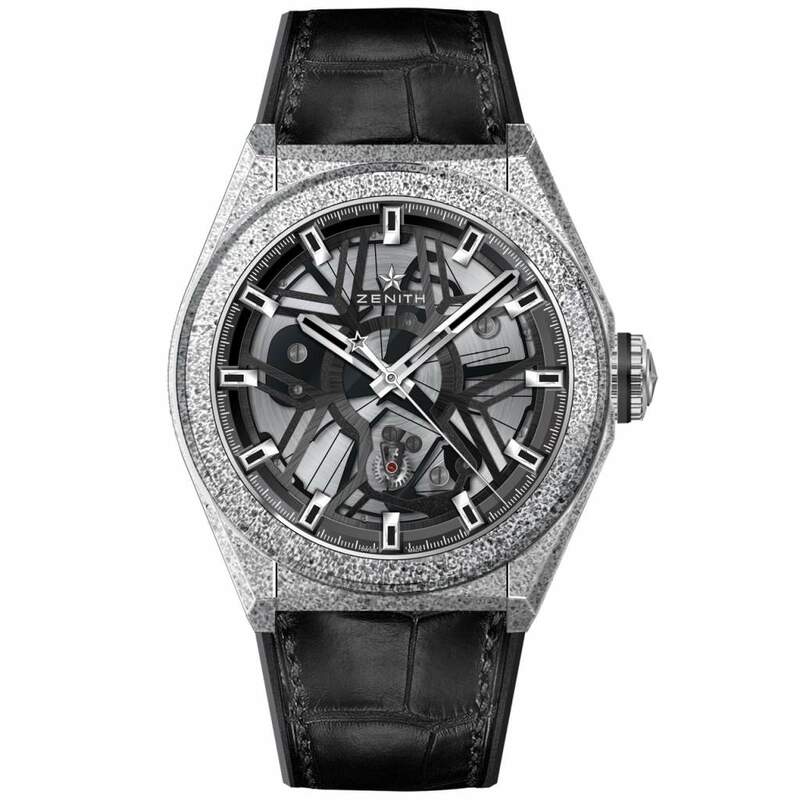 Aeronith, which is made of aluminium foam and a special polymer, was developed by sister LVMH company Hublot’s R&D Department, that filed a patent for the new revolutionary alloy. 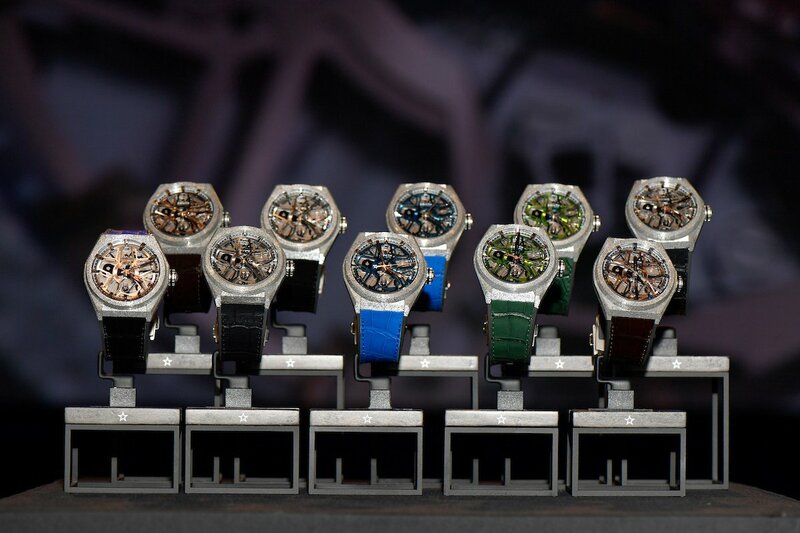 The first ten Defy Lab watches, 10 unique versions with each one being different than the others, have already been pre-sold to special clients worldwide, who were flown to LeLocle to collect their watches in a beautiful collector’s gift box. The watches were all actually ready today, on their official launch date! Previous Post Zenith Distinguished Gentleman’s Ride Pilot Ton-Up: Join The Movement!